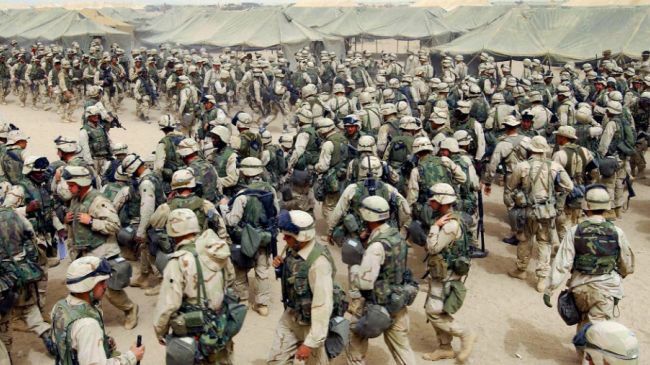 US Marines in Kuwait ready to enter Iraq on March 20, 2003. A report reveals that thousands of Iraqi scholars have been assassinated by Israel’s Mossad spy agency in collaboration with CIA agents since the occupation of Iraq. According to the report published by a British magazine, since 2003 over 5,500 scholars have been killed by CIA-Mossad agents in Iraq. The report added that Mossad has formed secret terror groups to kill Iraqi scientists, intellectuals, researchers and physicians as well as nuclear and chemical experts. The report also indicates that Israeli intelligence officials ordered the secret terror groups and sent them to Iraq. On March 19, 2003, US-led forces invaded Iraq under the pretext of wiping out the stocks of Weapons of Mass Destruction (WMD) belonging to the executed Iraqi dictator Saddam Hussein’s regime. However, no such weapons were ever discovered in the country. The Israeli occupation authorities (IOA) delivered the body of a Palestinian youth who was killed at the hands of the Israeli occupation forces seven months ago. Dr. Ashraf Al-Qudra, the spokesman for the health ministry in Gaza, said on his Facebook page on Sunday that a Palestinian medical team took the body of Kamal Al-Amur, 25 at the Erez crossing. He added that the body was taken to Shifa hospital for final examination before transferring it to the family in Khan Younis for burial. IOF soldiers gunned down Amur after claiming that he was trying to infiltrate into NirAm settlement to the east of Khan Younis. Israeli authorities transferred the body of a Palestinian man killed last year to the Gaza Strip on Sunday, Palestinian sources and an Israeli official said. Palestinian sources told Ma'an that the body of Baseem Kamel al-Amour, 24, was transferred to the Gaza Strip and returned to his family. Al-Amour was killed seven months ago after Israeli forces shot him near the Israeli town of Nirim, adjacent to the Gaza Strip, the sources added. His family reported him missing last year and have been looking for him since his disappearance. Major Guy Inbar, spokesperson for the office of the Coordinator for Government Activities in the Territories, told Ma'an that "the body of a terrorist involved in a terror attack on Nov. 26 was transferred to the Gaza Strip." Al-Amour's body had been held in Israel since the attack last year, Inbar said, without providing further details. The body was transferred via the Erez crossing. A Palestinian citizen died on Friday of serious injuries sustained three weeks ago in clashes with the Israeli occupation forces in northern occupied Jerusalem. Moayed Nazih Gazawna, 35, from the town of Al-Ram, north of Jerusalem, died of injuries caused by a teargas grenade fired by occupation soldiers and which fell very close to him during clashes that erupted in the town of Al-Ram three weeks ago. The martyr, who is a father of two children and his wife is pregnant and who was a taxi driver, was injured 3 weeks ago after inhaling large amount of teargas. His family said that he had in the past undergone open-heart surgery. Gazawna was lying in the intensive care unit at the Palestine Medical Complex, after suffering heart failure as a result of the teargas inhalation. Palestinian medical sources reported that a Palestinian man, identified as Mo’ayyad Nazeeh Ghazawna, 34, from the Al-Ram town, north of occupied East Jerusalem, died of wounds suffered, on February 22, after being struck in the chest by a gas bomb fired by Israeli soldiers as he was driving his Taxi. Medical sources reported that Ghazawna suffocated and his heart stopped after being struck by the gas bomb, and was moved to the Intensive Care Unit at the Palestine Medical Center in Ramallah. The slain Palestinian is married and a father to a 4-year-old boy, and a 5 year-old girl, and his wife is due to give birth to their third child in the coming few days. Hundreds of residents participated in his funeral Friday, and marched carrying his body to a local graveyard while chanting slogans against the occupation and its ongoing crimes. Israeli soldiers arrived at the scene, attacked the residents, fired gas bombs, and rubber-coated metal bullets at them. Tuesday March 12, 2013, Palestinian medical sources reported that a Palestinian youth identified as Mahmoud ‘Adel At-Teety, 25, was shot and killed by an Israeli dum-dum bullet to the head, in the Al-Fawwar refugee camp, in Hebron, in the southern part of the occupied West Bank. Two more Palestinians were shot by live rounds, and six by rubber-coated metal bullets. At-Teety was shot in the head and died instantly; the dum-dum bullets have been internationally banned for since The Hague Convention outlawed their use in 1899, and in 1907, but the Israeli military frequently uses them against the Palestinians. Dum-dum bullets expand and explode upon or after impact causing maximum damage to body organs. At-Teety is an active member of the nonviolent resistance movement in Hebron, and was the admin of a Facebook page that focuses on the issues and suffering of Palestinian political prisoners held by Israel. Furthermore, Nasser Qabaja, head of the Disasters Unit at the Red Crescent in the southern part of the occupied West Bank, told the Maan News Agency that resident Rami Al-Karnaz, 25, was shot in the foot and was moved to a local hospital. 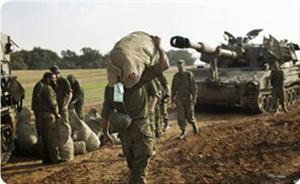 Local sources reported that clashes took place in the camp after Israeli soldiers invaded it. Local youths hurled stones at the invading soldiers who fired dozens of gas bombs, rubber-coated metal bullets, rounds of live ammunition and rounds of the illegal Dum-Dum bullets. Clashes were renewed and intensified in the camp after the death of At-Teety and the army fired more rounds of live ammunition, gas bombs, and rubber-coated metal bullets. The army claimed that soldiers invaded the camp after a Molotov cocktail was hurled at a settler’s vehicle near the camp. It is worth mentioning that At-Teety is a former political prisoner who spent three years in Israeli prisons, and is one the most active former political prisoners in solidarity activities with all detainees held by Israel, especially those holding hunger strikes. Tens of thousands of people from al-Khalil participated on Wednesday afternoon in the funeral of martyr Mahmoud Adel Teeti, 24, from Fawwar refugee camp south of al-Khalil. Al-Teeti is a Palestinian prisoners’ activist. He died after being hit with an Israeli bullet in his head during clashes that erupted in Fawar refugee camp on Tuesday. The funeral procession was launched from Fawwar Mosque after noon prayers, with the participation of head of Legislative Council Dr. Aziz Dweik, a number of representatives for the Change and Reform Bloc, Palestinian faction leaders, a delegation from the Islamic bloc at Universities of al-Khalil and Aroub, and members of Fatah Central Committee. The mourners headed to the Shuhada cemetery in Fawwar camp, chanting slogans demanding Qassam Brigades to take revenge and urging PA to stop security coordination with the occupation. Eyewitnesses told PIC that violent confrontations have erupted on Wednesday afternoon between school students and the occupation forces at the entrance to the Fawwar camp and at the eastern entrance to Dura. The Israeli occupation troops suppressed the demonstrations that were launched near the entrance to the camp in protest at killing martyr Teeti and fired tear gas canisters and rubber-coated metal bullets towards the young people who responded by throwing stones and empty bottles at occupation soldiers. The witnesses added that some of the citizens suffered suffocation while others have been injured during the clashes. More than five Israeli military checkpoints were erected near the camp, on the street adjacent to the Jewish settlement of Beit Haggai, near Beit Ainun and on the bypass road near Kiryat Arba east of al-Khalil. Hamas mourned the martyr Mahmoud Adel and said in a statement on Wednesday: "The martyr was one of the most prominent activists in the camp. He is a liberated prisoner and served three years in Israeli occupation jails ... He is also one of the most prominent young activists in the activities and events in solidarity with the prisoners". Mahmoud was also detained by the Palestinian Authority for his political affiliation, Hamas added. The movement has called on the Palestinian masses and all its supporters and members to participate in the funeral procession of the martyr. Meanwhile; activists via Facebook and Twitter expressed their anger and condemnation of security coordination between Ramallah authority and the Israeli occupation in the occupied West Bank. They held the PA's apparatuses responsible for the continued arrests against cadres of the resistance factions and the Palestinian people, due to the security coordination, and condemned holding the identity card of the martyr Mahmoud Teeti by the Preventive Security Service. Teeti had been called two days ago by the Preventive apparatus which has confiscated and held his ID card, then postponed his trial to April 7. One of activists has called for exposing the policy of security coordination "before demanding the implementation of reconciliation and the end of the division", stressing that the main reason behind the split is the security coordination. He held the Palestinian factions responsible for this national crime because of their silence and inaction, and demanded the factions to act and expose this crime, before anything else. A group of young activists called for staging protests at the Unknown Soldier Square in the center of Gaza City, in rejection of security coordination with the occupation forces, while others are calling for organizing marches against the Ramallah authority to make it return Mahmoud's identity card. Bahaa al-Din al-Madhoun, Assistant Undersecretary of the Ministery of Prisoners in Gaza, said that the occupation announcement saying that the body of martyr Anis Dawla is missing is a serious precedent and a new Israeli systematic crime against Palestinian prisoners and people. Madhoun said in a press statement on Sunday: "The occupation has committed a complex crime against the captive and martyr Anis Dawla. It started by arresting him then subjecting him to torture and medical neglect until he died. 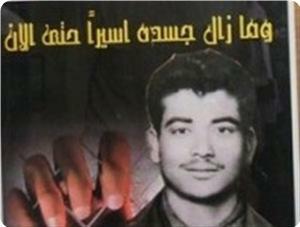 His body was then held for decades, and now the occupation is announcing that the body is missing." 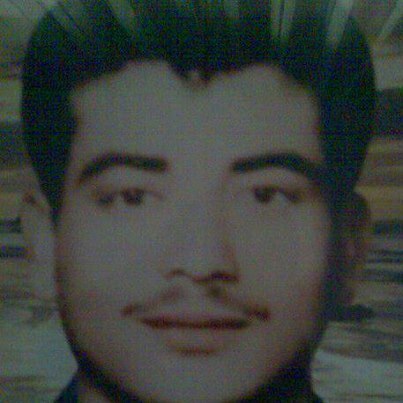 Martyr Dawla was arrested by occupation forces following a battle he had fought together with his comrades in the Northern Jordan Valley on June 30, 1968. The Israeli military court had sentenced him to life imprisonment. He died in Ashkelon Prison on August 31, 1980, after deterioration of his health condition. Madhoun stressed that his ministry, in collaboration with the government, is communicating with Arab and international bodies to expose the occupation crimes committed against the prisoners. He also demanded the Palestinian Authority to exercise pressure and take advantage of the new Palestinian political status to submit law suits against the Israeli occupation to the Criminal Court. Is There Hope of Justice for a Palestinian Family in Israel's Courts? International Solidarity Movement (ISM) said in a press release that Ziad Jilani's widow and daughters seek Justice for his killing by Israeli Border Policeman Maxim Vinogradov, for the third time. This Wednesday, 13th March, Moira Jilani and her three daughters will come face to face with their husband and father's killer. "I am dreading facing them for my daughters," Says Moira, "I think I could face them myself but I'm afraid that when I see the pain in my daughters eyes it will kill me." Her husband, Ziad Jilani was killed three years ago by Maxim Vinogradov, an Israeli border patrolman who put his rifle to Jilani's head and pulled the trigger three consecutive times. Now, for the third time, the family is appealing to Israeli authorities to press charges against Ziad's killer. On the 16th of January 2011 the case was closed by police internal investigations (Machash) for the first time, for "lack of evidence". 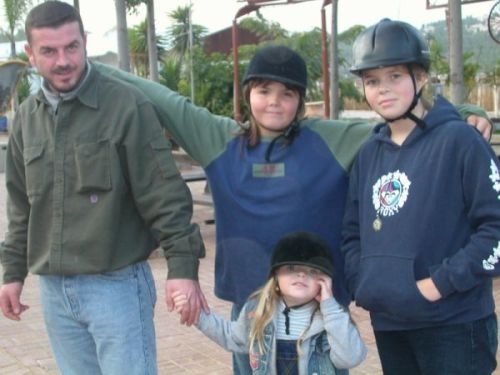 In the following month, 15th of February 2011, the family submitted an appeal to then Israel Attorney General, Menachem Mazuz. Despite a confession by Vinogradov that he had shot Ziad at zero range when he was lying on the ground because of the initial gunshot wound, an autopsy report pointing to an a close range shooting, dozens of eyewitnesses who were also injured that day as a result of the incident, and very clear changes in Vinogradov's testimonies before and after the autopsy, Mazuz did not see fit to change Machash's decision to close the case. 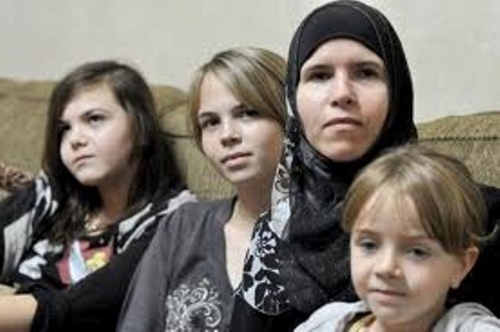 With the help of the al-Mazaan Center for Human Rights, on January 4th 2012, the family submitted a second appeal. This time, to the Israeli Supreme Court, through the al-Mazaan Center for Human Rights, demanding that the new state prosecutor, Yehuda Weinstein, bring criminal charges against Ziad's murderers. "After Weinstein [Israel's current Attorney General] had all the evidence we had hope that he would press charges against the killers," Moira recalls, "but after he decided not to do so for the third time, it is hard to have hope that the court will do justice." According to Yesh Din in 2012 the MPCID received 240 complaints and various reports of suspected crimes allegedly committed by Israeli soldiers against Palestinians and their property in the West Bank and the Gaza Strip. Out of these registered complaints, only 103- not even half- have yielded investigations. Not one single indictment has been served to date. The organization commented on the findings: "The numerous defects in MPCID investigations of offenses against Palestinians, and in the Military Advocate General Corps' supervision of the investigations, result in the closure of the vast majority of the files and a minimal number of indictments being served. This creates a feeling of lawlessness on the ground, which may be a central contributing factor in the rise in the number of killings over recent weeks." Moira describes this sense of lawlessness, "I still have hope, but its hard when we see everything that's happening around us," she says, "my husband's case is one of what seems to be a systematic sweeping under the rug of violent incidences of Israeli soldiers against the Palestinian population under their authority. We are not just going to court for Ziad Jilani. We are going to court for all the Palestinians killed before Ziad and those that will be killed thereafter." 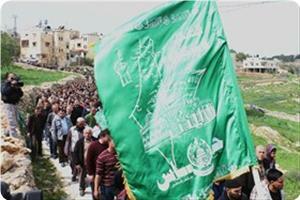 More than 5000 people from around the West Bank attended, after Friday prayers, the funeral procession of martyr Mohammad Asfour in the village of Aboud northwest of Ramallah. Asfour, 22, died from wounds he had sustained two weeks ago after being shot by an Israeli bullet in the head during protests staged in his village in support of the hunger strikers in Israeli jails. Popular Committees against the Wall in the villages of Bil'in and Nabi Saleh have also participated in the funeral of the martyr that started from the Palestine Medical Complex in Ramallah towards the village of Aboud. PIC's correspondent reported that leaders from different Palestinian factions in addition to Christian clerics participated in the funeral procession. For its part, the Islamic bloc at Abu Dis University mourned Mohammed Asfour and said he was one of the prominent activists at the university, while Palestinian factions charged that killing Asfour represented a new crime to be added to the occupation crimes. Following the burial, clashes broke out between the Israeli forces and the mourners who headed for the southern entrance to the village. The occupation soldiers started firing tear gas grenades and rubber bullets and sprayed waste water at the protesters in an attempt to disperse them. Several people were injured by rubber bullets and others fainted due to tear gas inhalation. Soldiers chased village youths down alley-ways in the village, firing large amounts of tear gas, locals said. Aboud village has witnessed since the early morning hours on Friday intensive presence of the Israeli military vehicles and soldiers, who were deployed at the main entrance and closed the road for fear of the outbreak of clashes after the funeral. Mohammed Asfur, a fourth grade student at the Quds university, died in Hadassah Ein Karem hospital in Jerusalem on Wednesday of serious wounds sustained two week ago. Asfur, from Yabud village in Tulkarem, was hit with a rubber-coated bullet in the head while participating in a rally in his village in solidarity with Palestinian prisoners especially the hunger strikers. Two other young men were also wounded in the same incident one of them suffered fractures after a rubber bullet hit him in his leg. The mother of martyr Bassem Abu Rahmah, from the village of Bil’in, who was killed by a gas grenade fired at him by a soldier, has petitioned the Israeli Supreme Court demanding to end procrastination in investigating her son’s death. In the petition, which was filed jointly with Bil’in village council, B’Tselem and Yesh Din, Subhiya Abu Rahmah, Bassem's mother, demands an urgent hearing in view of the fact that almost four years have passed since her son was killed. The incident was documented in the film Five Broken Cameras, which was a candidate for the 2013 Oscar awards. Bassem Abu Rahmah, 30, was killed on April 2009 after he was hit in the chest by an extended-range tear gas grenade during a demonstration against the Separation Wall in his home village of Bil’in. A statement issued by B'Tselem, an Israeli human rights organization, said: "Three video segments filmed during the demonstration prove that Abu Rahmah was situated to the east of the fence, did not act violently, and did not endanger the soldiers in any way." The petitioners also attached an opinion prepared by experts from London and New York who have analysed the films documenting the incident and determined that the grenade was aimed directly at Abu Rahmah. Accordingly, and given that the deceased did not pose any threat to the soldiers, the shooting constituted a criminal offense. The soldier who fired the grenade should be prosecuted and, depending on the results of the investigation, it is possible that his commanders should also be prosecuted. The video segments also show that other soldiers fired gas grenades directly at demonstrators during the protest, in the presence of senior officers and in complete contravention of the open-fire regulations. The petitioners note that the refusal to reach a decision in the case over such a long period is unreasonable, adding that in view of the obligation under international law that an investigation into a grave human rights violation must be effective, take place without delay, and be completed promptly. The petitioners add that the delay in investigating the killing of Bassem Abu Rahmah is just one example, albeit an extremely serious one, of the slow pace of investigations and decision making by the Military Advocate General, which often extends over several years. There can be no doubt that this problem significantly and directly affects these investigations and the chance of reaching the truth and ensuring that justice is done. The Al-Quds Center for Legal Aid and Human Rights issued a press release denouncing the Israeli Supreme Court that informed the Center’s lawyer, Haitham Al-Khatib, that the body of detainee Anis Mahmoud Dola, who died in an Israeli prison 30 years ago is “still missing”. The Center said that Dola was arrested and imprisoned by the Israeli army, following armed clashes, that took place on June 30 1968 in the Jordan Valley area; he was then sentenced to life imprisonment. He died on August 31 1980 after suffering various health complications following a 30-day hunger strike held by the detainees in Israeli detention camps. His body was taken to the Abu Kabeer Israeli forensic center and has never been returned to his family that wanted to conduct a proper burial. The Al-Quds Center demanded the International Red Cross to practice serious pressure on Israel to locate the remains of the detainee, especially since Israel claims that it has no idea what happened to his body after it was sent to the forensic center. Lawyer Al-Khatib said that the case of Anis is very significant as it tells the suffering of Palestinian detainees in Israeli prisons, tells the story of hundreds of slain Arab and Palestinian detainees and fighters who are buried nameless in Israel’s Numbers Graveyard. He added that the Red Cross should be more active and persistent in obtaining detailed information about the detainees, especially those who were killed by Israel and their bodies were never found. Furthermore, Al-Khatib said that, two days ago, the Israeli Supreme Court, decided to drop the case of Anis as he has been dead for more than 30 years. The court said that its decision was made because the Israeli Security Agency, the Army and the Police, and the Israeli Prison Authority, in addition to the Israeli National Insurance Agency, could not come up with any positive lead that could clarify the fate of Anis’s body. 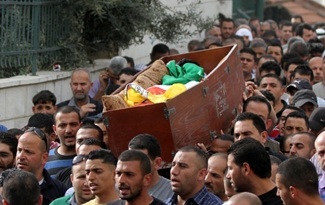 The Al-Quds Center called on the Palestinian leadership to contact Arab and international parties in order to expose this case to international public “as it clearly shows the racist Israeli policies”, and to practice pressure on Tel Aviv to return the body of Anis, and all missing bodies, to their families so that they can conduct proper burials. The Center added that Israel is still holding captive the bodies of 250 Palestinian and Arab citizens. It further said that Anis died in a different battle, a battle of empty bowels, following a hunger strike that was held by hundreds of detainees who were protesting the harsh living conditions and constant harassment in Israeli prisons. The Center saluted all detainees who are currently holding hunger strikes demanding their internationally guaranteed rights, and said that the detainees are the symbols of the legitimate Palestinian resistance against the occupation, and the defenders of the Right of Return of all refugees as stated by Security Council Resolution 194.